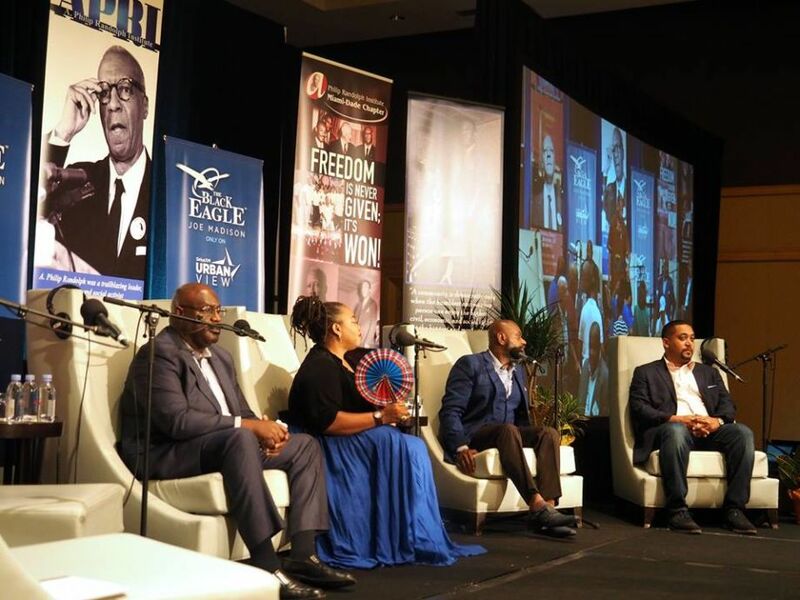 The 48th National Educational Conference of the A. Philip Randolph Institute convenes during a most challenging time, but it also a time full of opportunities to advance the cause of social and economic justice for working families. The Labor Movement is being plagued with growth and program challenges at both the local, state and national levels. This national conference served as the major platform from which APRI rank-and-file members are able to receive training and education on current issues impacting workers and their families across the country. Pictured: Sirius XM host and activist Joe Madison hosted a live show on SiriusXM Radio Urban View 126 #APRINEC17. Guests include Actor Danny Glover, Dr Ron Copeland, Kaiser Permanente, Dr. Philip Lucas, Howard University, Dr L. Toni Lucas SEIU and Shawn Miles, MasterCard.